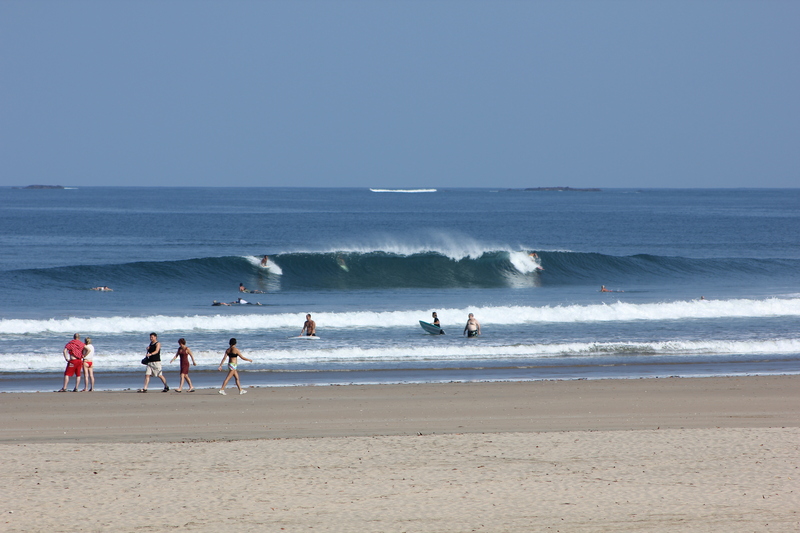 Some nice waves coming in these last few days in the Tamarindo Rivermouth. Longer, walled up rights. Shorter lefts, still looking fun. Definitely possible to get a little barrel out there, even if the waves are smaller than they’ve been. Swell + conditions forecast: Its not quite 10am yet and already the wind is starting to switch onshore. The last few days it has been doing the same thing again and again, onshore by 10 or 10:30am. 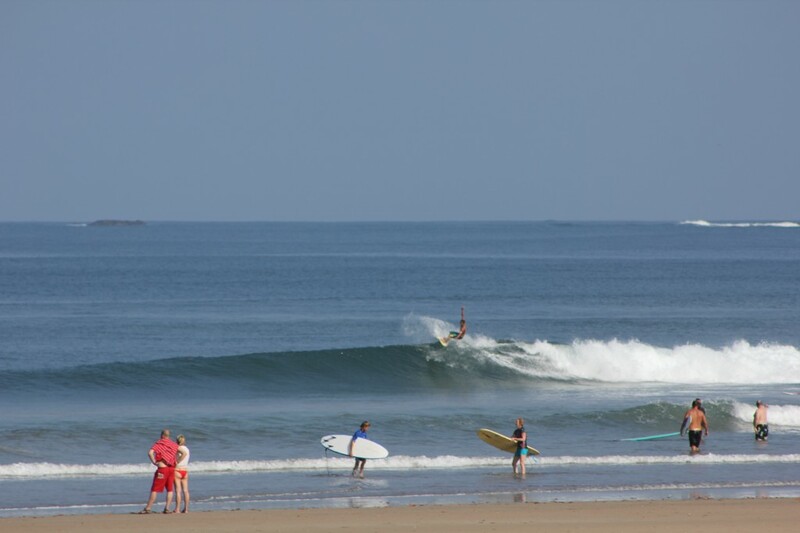 I suggest getting out of bed EARLY and surfing right away, ensuring at least a few hours of clean conditions. 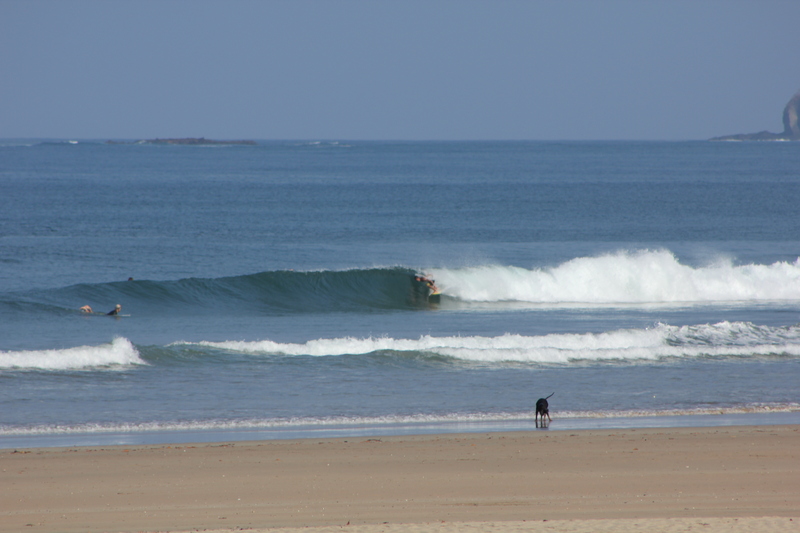 Yesterday the wind wasn’t too strong onshore mid-day, the rivermouth was looking fun, pretty much nobody was out. Keep an eye on the waves as you drive through town today, you could get lucky. 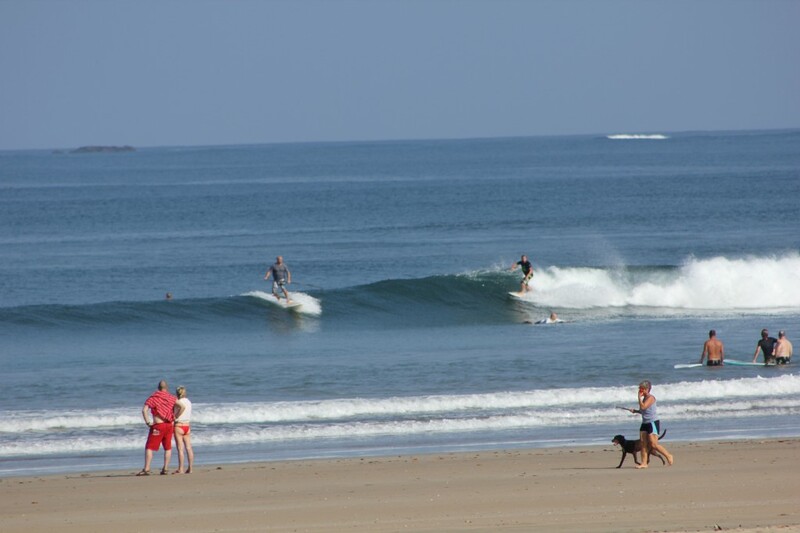 Looking at the next few days, waves will decrease and increase in size slightly over the next 5 days, staying in the waist to shoulder high range here in town. Winds look fairly bad for the afternoons, mornings should be clean and fun. 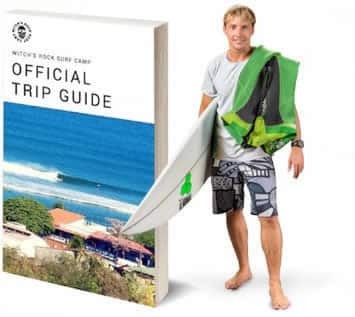 No excuses, go surfing.